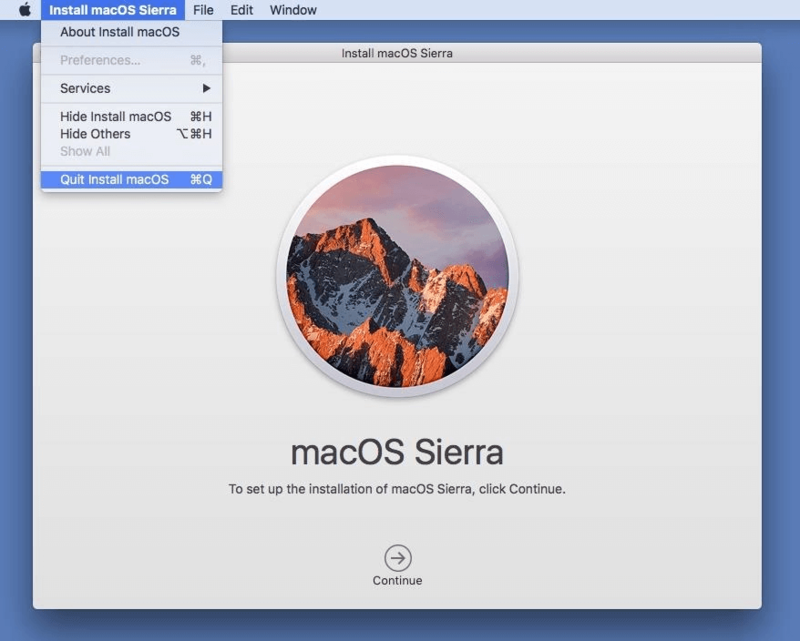 If you find Mac OS Sierra 10.12 comfortable and want to upgrade all your Macs to it, you may wonder how to create a bootable USB drive of this OS version. Why may you like this system? Siri, there is more powerful than in iOS and you can easily copy/paste between your Mac with Sierra and iOS devices. What else is great about this version, Safari works with Apple Pay, your Apple watch can unlock Mac, all your documents and desktops are synchronized, and new iMessages is available there. This is just the beginning of all pleasant features. Well… Let’s get back to a bootable USB installation drive. Why USB drive? You could think that it can be installed right on every machine. But! You will need about 5 Gb of space and some time to download the system to each Mac. That’s why working with a USB drive makes the process easier and faster. Visit Apple’s App store and get MacOS Sierra 10.12. However, don’t hurry up to install it after your download completes. In case you do this, it will be deleted automatically leaving you without any chances for transferring it to a USB drive. If some installation pop-ups appear, just close them. You can use this one or any other applications that allow users to create installation disks. After you get the app, unzip and open it. The Gatekeeper may ask to allow opening of this software, is it does, hit the ‘Open’ button. We recommend using a flash drive with at least 16 Gb memory. There is a chance that 8 Gb flash drive will work too, but I used to have problems with them while installing previous Mac OS versions, however, you can try. Note, that all your files will be deleted from this USB flash drive, so make sure you have a copy, it is recommended to backup all the information in advance. When you have copied all your files from the USB drive, select its name in the drop-down menu in the ‘Install Disk Creator’ app. The application usually automatically detects the necessary file. 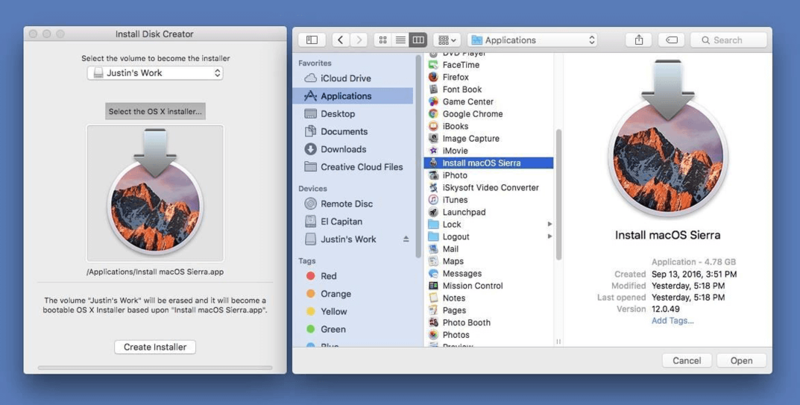 Still, if you store old installer files for El Capitan or Yosemite, click on the ‘Select the OS X Installer’ button, browse your Apps folder and find ‘Install MacOS Sierra’. 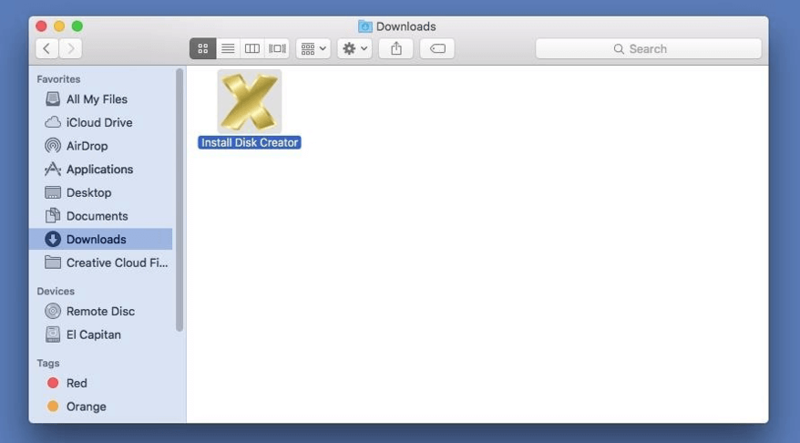 After you have found and chosen the file, click on the ‘Create Installer’ button. 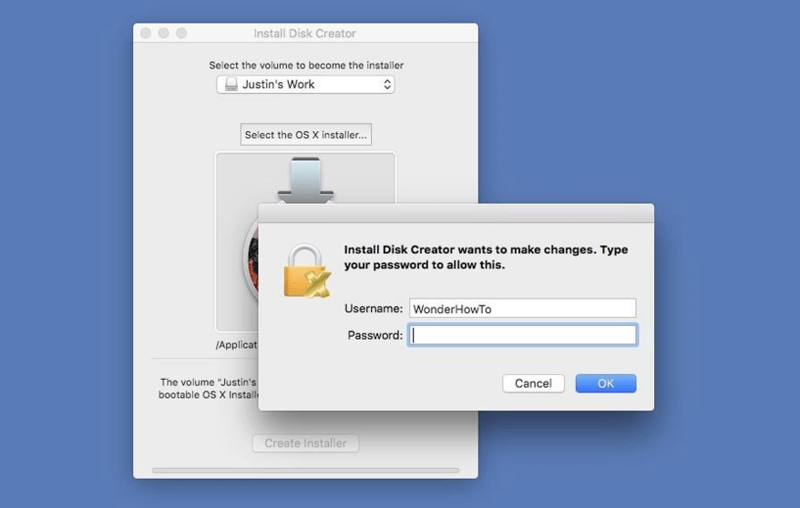 Enter your admin password to start creating a bootable USB drive with Sierra. This process will erase everything that was on the flash drive and turn it into a MacOS Sierra installer. This is your last chance to backup any important data stored on this flash drive. After your bootable drive with Sierra is ready, a popup will inform you about a successful completion of the procedure. It usually takes around 6-7 minutes. Almost done here! Your bootable flash drive is ready for work. Most devices are supported. However, you may check Apple’s website to make sure that yours will accept a new OS X. In general, you will also need 10.75 or newer OS X, 2Gb RAM, 9 Gb of storage space for upgrading your Mac. 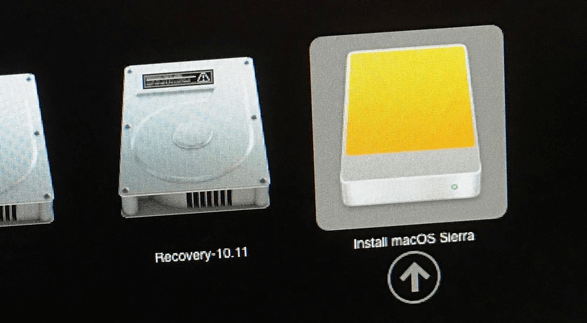 For starting the installation process, you should restart your Mac with the USB drive in it, hold down the ‘Option’ key while it is starting until you see the Startup Manager. Select your new bootable drive with the Sierra installer. This will open MacOS Utilities where you should select ‘Install MacOS’ from all the options in the list. Follow the instructions of the installation wizard to do everything correctly. Then wait for your new MacOS Sierra boots on your Mac.